B-LED is a range of three modules comprising 1, 2, and 3 LED versions with 30, 65 and 93 lumen outputs making it ideal for today’s wide variety of sign lighting applications. Modules include high brightness, low energy and long-life (Epistar 2835 SMD) LEDs behind broad-beam lenses all encapsulated by a dust and weatherproof module. Modern, reliable and rapid automated manufacturing processes combined with state-of-the-art continuous wire IDC (insulation displacement connector) and constant current IC (integrated circuit) technology to bring excellent quality, performance and economy to the sign maker. B-LED is available exclusively from branches of Amari Plastics. Each module has a peel-off, self-adhesive backing and provision for screw fixing all making for a fast and secure installation. 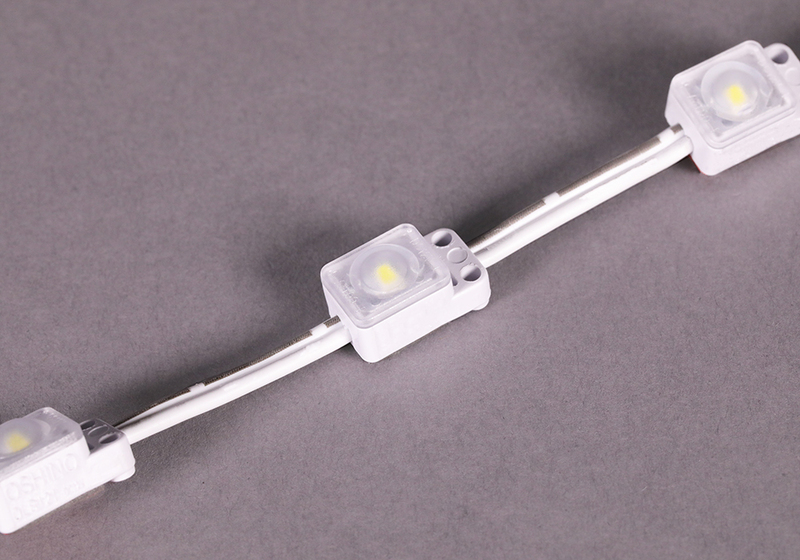 One pack of B-LED consists of 100modules in two chains of 50pcs each. Sign applications including built-up channel letters and medium size sign boxes plus other sign lighting applications.